Edith Thorpe begins as new General Manager of WNCU 90.7 FM. At the present, there are five full-time temporary staff members and 15 volunteers. On May, 2001, a new Hispanic radio program debuts on WNCU. It is a new program for Hispanic and bilingual listeners called Â¡A Quien Le Corresponda! The program airs every Wednesday from 8 p.m. to 11 p.m. Â¡A Quien Le Corresponda! covers a variety of topics including immigration law, domestic violence, fair housing, migrant workers’ rights, coalition building, emergency and first aid instructions, and career and education opportunities. Â¡A Quien Le Corresponda is a partnership between WNCU 90.7 FM and the City of Durham Human Relations Department. “This partnership is a definite opportunity for our station to advance its mission to make a difference in the lives of this community”? said Edith Thorpe, general manager of WNCU. On November 19, 2001, Edith Thorpe, General Manager of WNCU 90.7 FM, announces the rollout of the station’s newly designed and expanded website. Located at www.wncu.org, the site serves as the gateway to WNCU’s streaming audio feed, and enhances the broadcast programming schedule with in-depth information of all kinds. Over 100 WNCU members and guests attend the first annual WNCU Member Appreciation Holiday Social held at the Washington Duke Inn, December 20, 2001. WNCU General Manager Edith Thorpe said, “This event was planned to say “thank you” to all our listeners who renewed their membership or became new members. It was also an opportunity for our Listener Support Network to rub shoulders with the hosts and announcers they hear on 90.7 everyday.” Many of the members brought along guests who in turn became new members of WNCU. It was a festive evening filled with exquisite food, fun and great jazz by the Chris Reynolds Trio. On February 1, 2002, WNCU staff and management honored Rex Kuhn during a birthday celebration concert featuring jazz pianist John Coates at the Carrboro Arts Center in Carrboro, NC. Rex was host of Discovery, which aired on Thursday evenings. Rex celebrated his 80th birthday with friends and family. The month of February marks the beginning of WNCU’s fresh new line-up of three community affairs programs. The station schedules its Latino and other cultural programming on weekends and reintroduces its listeners to one of the station’s first public affairs program, The Legal Eagle Review. The three new programs are Durham Skywriter, Durham At-Large, and Jones Street. Attorneys Irving Joyner and Tracey Barley take on their familiar roles as Legal Eagles on WNCU 90.7 FM. For one hour, Legal Eagles offers forums on hot button legal issues like divorce, leases, wills, powers of attorney, closing contracts, and employment. Listeners can enter the discussion when they call in with vital legal questions. Legal Eagles is both informative and entertaining. On Wednesday evening, February 6, local publisher and journalist Pat Murray assumes her new role as the host of Durham Skywriter, a new 30-minute community affairs show on WNCU 90.7 FM Wednesday evenings at 7:30 p.m. She’s turning in her music crates and saying farewell to Rice and Beans on Sunday evenings. She’ll now connect listeners in Durham and its surrounding area to community service agencies and civic organizations via the radio program that complements her community newspaper of the same name, The Durham Skywriter. WNCU debuts The Tavis Smiley Show from NPR, a daily, one-hour program from Los Angeles that will engage public radio listeners in a wide range of discussions, commentary and reports from fresh, bold, and diverse points of view. A small group of founding stations whose audiences contain a substantial number of African-American listeners initiated the program concept and will air the program during the initial pilot phase. Local and state government takes center stage on Thursday evenings, beginning February 7th with two new programs. WNCU 90.7 is where you can hear Durham-at-Large. It’s a show hosted by News and Public Affairs Director Kimberley Pierce. This 30-minute program is a forum for the examination of city government and politics. It engages local guests and delves into key issues of concern to city residents. Durham-at-Large airs Thursdays at 7 p.m.
Local columnist, Val Atkinson is your host for Jones Street, a weekly, thought-provoking look at the executive, legislative and judicial branches of North Carolina government. Its mission is to provide an inside look at state government from an African American perspective. Jones Street airs on Thursday evenings, beginning at 7:30 p.m. The Spanish-speaking community has found a voice on WNCU 90.7 FM in the form of a two and a half hour program titled, Cita Dominical. This program is designed to illuminate the richness of Latino cultural and artistic expression. The intent of this program is to widen the cultural spectrum of WNCU’s outreach. Cita Dominical is a ground-breaking, all Spanish-speaking radio program that incorporates news, community events, and music in a distinctive blend that touches the hearts and expands the minds of our Spanish-speaking listeners. Hear this program Sunday evenings from 6:30 p.m. until 9 p.m. Preceding Cita Dominical is NPR’s Latino USA at its new time and day, Sunday evenings at 6 p.m. Latino USA, the radio journal of news and culture is the only national, English-language radio program produced from a Latino perspective. On Saturday, April 20, 2002, WNCU sponsored the 2002 Durham Earth Day Festival. 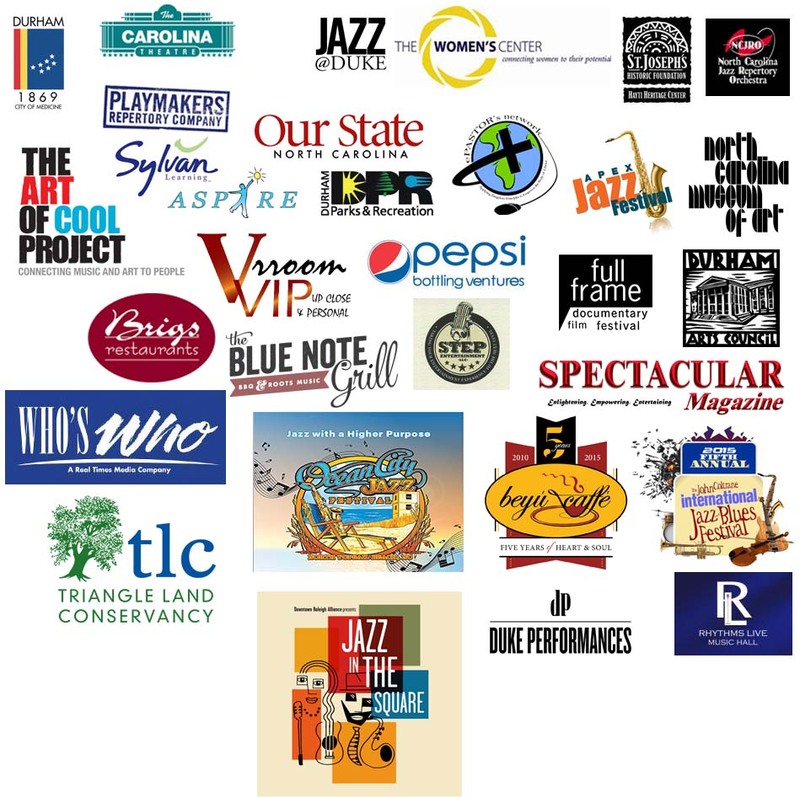 WNCU 90.7 FM and the Music Maker Relief Foundation invite guests to join them in a celebration of musical traditions on Sunday, May 5, 2002 from 1- 6 pm. This first annual “Roots on Ninth” event filled the air with the strains of our rich musical heritage, and the street with fun and food. Entertainment featured the largest group of performers in the Carolina Blues tradition to be assembled in the country. On December 10, 2002, WNCU 90.7, North Carolina Central University’s jazz and information station, premiers a new money matters program on its airways. Inspirational and financial motivator Lisa Williams hosts the program called Living in the Black. Williams uses the show to highlight colorful but real ways to bring debt under control. The two-minute vignette series is slated to air on WNCU 90.7 FM in January 2003. Living in the Black holds the distinction of being the first syndicated program ever to be produced and distributed through the station. WNCU General Manager Edith Thorpe says, “The show will not only air locally but will be distributed to numerous historically black colleges and university radio stations throughout the country.”? On February 1, 2003, WNCU joins Public Radio Online Shopping Marketplace providing the opportunity to buy quality products online at superb prices and contribute to WNCU at the same time. A win-win deal! Kimberley Pierce, WNCU News and Public Affairs director interviews Hardball host Chris Matthews before his live broadcast from NCCU on February 6, 2003. The interview airs at 7 p.m. February 13th on WNCU’s Durham-At-Large. On April 17, 2003, Inside NCCU, a locally-produced radio show debuts on WNCU 90.7 FM. North Carolina Central University’s Office of Public Relations produces the new radio show which begins airing on April 17 on WNCU 90.7 FM, Thursday evenings at 7 p.m. The host of the show is Toni Monroe, a communications specialist in the Office of Public Relations. Inside NCCU highlights people, events and news at North Carolina Central University. Staff and/or faculty members are featured along with students who are doing great things at NCCU and in the community. Artist Howard Dvorsky presents his painting Blue Trane to Jonathan Kotch, winner of the drawing for WNCU members only. On August 27, 2003, Bonjour Africa receives accolades from the Durham Herald-Sun and WNCU for its hip category of World Music. Every Sunday afternoon from 4 to 6 p.m. on WNCU radio (90.7 FM), Senegalese native Bouna Ndiaye hosts Bonjour Africa, a radio program dedicated to the music of Africa. On November 12, 2003, WNCU 90.7 makes program changes, adds more jazz, a new funk show, and two hours of public affairs on Saturday mornings. New jazz host Kenneth A. Grady begins broadcasting on Tuesday and Thursday at 7 p.m.
On Friday, February 13, 2004, author and political activist Tavis Smiley conducts a live broadcast of the Tavis Smiley Show from NPR at North Carolina Mutual Life Insurance Company. The broadcast took place in the corporate headquarters auditorium and was sponsored in part by WNCU 90.7 FM. Some of the panelists for the broadcast are North Carolina Central University Chancellor James H. Ammons as well as corporate CEOs of Durham’s Black Business community. James Speed, Jr., President and CEO of North Carolina Mutual, was also a panelist. On April 3, 2004, the 90.7 FM WNCU Jazz CafÃ© kicked off April 1 with world-class jazz saxophonist Branford Marsalis. The noontime concert series is a part of 90.7 FM’s Renaissance VI membership drive. May is Latin Jazz month at WNCU, celebrating annually the many contributions made by Latin musicians. On, August 11, 2004, General Manager Edith Thorpe of WNCU 90.7 FM was elected president of the North Carolina Public Radio Association (NCPRA), becoming the first African-American to hold the post. Prior to assuming the presidency, Thorpe held the posts of NCPRA vice president and secretary. On Sunday, September 12, 2004, WNCU 90.7 FM cosponsored the program A Tribute to John Coltrane: Jazz Poetry Concert and Open Mic Poetry Reading at the North Carolina Museum of History. In honor of John Coltrane’s 83rd birthday, listeners enjoyed an afternoon of music and spoken word performed by poet Darrell Stover and the Ira Wiggins Quartet featuring Ed Paolantonio, Russell Lacy, Paul Ingbretsen, and Dr. Ira Wiggins. Program funding was provided by Glaxo Smith Kline. On September 30, 2004, WNCU offers listeners the ability to become a new member, renew membership or make a donation online by using a credit card quickly and securely from the WNCU website. Never before has WNCU received more contributions in less time than during its just-completed fall fundraising drive, Renaissance VII. Thanks to the listeners of 90.7 FM, the $70,000 goal was surpassed during the on-air portion of the ten-day fund drive. On December 10, 2004, WNCU says thank you to Tavis Smiley for a great run! Tavis Smiley informed NPR and the African American Consortium that he would not be renewing his contract and that his last day would be December 16. NPR and the African American Consortium intend to continue this program with a new host, hopefully expanding and building upon its successes. On January 27, 2005, Edith Thorpe, general manager of WNCU 90.7 FM, interviewed Valeria Lee, president of Golden LEAF Foundation (Long-term Economic Advancement Foundation) on stage at the North Carolina Central University Legacy of Leadership Lecture Series. On January 31, 2004, WNCU welcomes the new public affairs show News & Notes with Emmy Award-winning journalist Ed Gordon beginning in early 2005. The show focuses on news, trends and topical issues of interest and importance to the African-American community. NPR and the African American Public Radio Consortium announced that this would be the second collaborative programming venture between the two since the Tavis Smiley Show. hyllis Houston-Washington joins WNCU 90.7 FM public radio as a corporate assistant. April 21, 2005, WNCU 90.7 FM and its partner the North Carolina Healthy Start Foundation (NCHSF) are awarded a combined $42,500 national grant to launch Listen-Up First Steps for Helping Babies, a comprehensive, minority infant mortality education campaign targeting African American and Latino communities. May 5, 2005, during Renaissance VIII, WNCU 90.7 FM’s spring membership drive, listeners responded overwhelmingly with their financial support and reaffirmed their commitment to jazz, alternative news and public affairs programs to the tune of $107,640, exceeding the original spring membership goal of $100,000. The month of May, listeners feel the rhythm of the beat with Rae Arroyo’s Latin jazz and salsa spicing up airwaves. Delighting in the offbeat, Arroyo is host of the only Latin jazz radio program in southern Nevada. Arroyo loves the son clave or syncopation, of the Latin mambo and cha-cha. On August 29, 2005, B.H. Hudson, assistant program director and music director was honored at the Jazz Week Summit in Syracuse, New York, winning the prestigious Music Programmer of the Year award. This made her one of the top jazz music programmers in the country according to Jazz Week magazine. Jazz Week is considered one of the best magazines of the jazz music industry. The magazine is produced by jazz radio professionals, label representatives and other jazz industry professionals. Jazz Week tracks all jazz played nationally to come up with a national play list. WNCU 90.7 FM set a goal of $25,000 to aid Habitat for Humanity relief efforts for New Orleans survivors of Hurricane Katrina. On Friday, September 16, a New Orleans jazz marathon will air on the station for a 24-hour period beginning at 8 a.m. If the $25,000 goal is met within the day, an anonymous donor, requesting to only be known as Carolyn from Durham, will match listener’s contributions with a very generous $25,000 donation. Programming for the 24-hour period will feature all New Orleans jazz music and artists, with an emphasis on the world famous New Orleans jazz festivals. North Carolina Central University’s (NCCU) WNCU 90.7 FM, the Triangle’s number one station for jazz and information, raised $62,490 to aid Habitat for Humanity relief efforts for New Orleans survivors of Hurricane Katrina. This total included a matching grant of $25,000 from WNCU member, Carolyn from Durham?. “This is definitely one of the greatest humanitarian feats our station has ever achieved,”? said Edith Thorpe, WNCU general manager. “It was our goal to raise the additional $22,000 needed by other fundraising efforts to arrive at a total contribution of a cool $85,000…the average amount quoted to build a Habitat for Humanity house.”? Public radio station WNCU 90.7 FM announces plans to air The Tavis Smiley Show from Public Radio International. A high-energy exchange of views, information, and insight hosted by the incomparable Tavis Smiley, the weekly two-hour show began airing Saturday, February 4, 2006. WNCU 90.7 FM goes digital! Imagine public radio at its very best quality; radio with no hiss, static or fading signal and near perfect reception every time you tune the dial. Imagine song titles and show listings at a glance. Imagine never wondering about the artist you just heard, hoping the disc jockey will back announce the name. This is the future of radio, but at 90.7 FM WNCU, the future is now. For 10 years, WNCU has been bringing wonderful music to the ears of its listeners. Now the station is bringing something new to their eyes as well. Six months after the staff moved into makeshift offices and studios and major renovations began, the station finally reopened its doors in April 2006. On April 21, 2006 the staff and management of WNCU sent their sincere condolences to the family of Rae Arroyo, longtime host of Latin Jazz Rhythms which aired at 8 p.m. on Fridays. On May 22, 2006, WNCU 90.7 FM features new blues programming and extends Blue Monday. WNCU co-hosts with the Durham Chamber of Commerce an open house and ribbon cutting of the newly renovated studios and offices. The great Jon Hendricks drops by the studio and is — interviewed on air by BH Hudson. WNCU 90.7 FM Annual Member Appreciation Holiday Social is held at the Museum of Life and Science and is co-sponsored by the Museum; Catering by Design, The Yellow Cellar and The Good Beer Store, the evening was a success and lots of fun for all. NCCU and the African American Jazz Caucus become partners to form a research institute. NCCU and AAJC have partnered to form a Jazz Research Institute that will host the Inaugural Annual Summer Jazz Festival/HBCU Summit Conference in Durham, June 20-24, 2007. NCCU and AAJC will begin to develop other initiatives such as a North Carolina Hall of Fame dedicated to highlighting the work of jazz artists from North Carolina. WNCU reaches highest listenership in the history of the station with 38,200 listeners per week. WNCU exceeds fall membership goals and meet its 300 new members goal.